Call us for FREE In-Home consultation at (973) 707-2310. 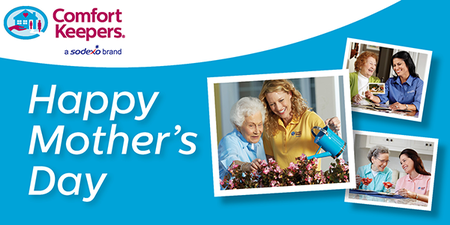 For Teachers and their loved ones, Comfort Keepers offers 5% discount off the regular rates. Contact us for if you are a veteran or family of the veteran to learn about various payment options. 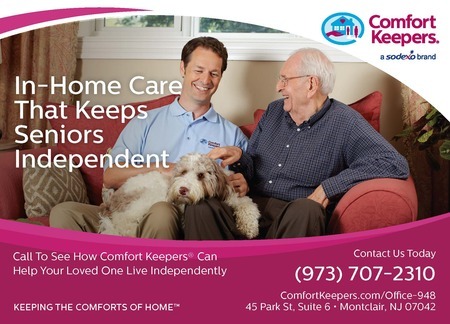 Comfort Keepers provides in-home care services for seniors and adults with a goal to provide good quality care to the loved ones who can then lead an independent, fuller life in the comfort of their own home. We provide services in the select areas of Essex, Bergen, Passaic, Union, Hudson, Morris & Middlesex counties. 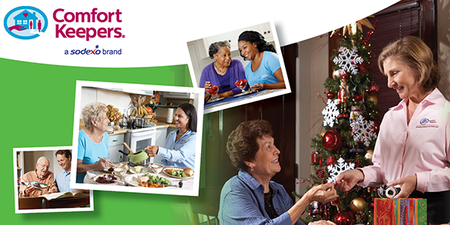 The various services we offer includes companionship, light housekeeping, meal preparation, running errands, light transportation, respite care, medication monitoring, personal care options of bathing, grooming, continence care and safety technology solutions and so on. 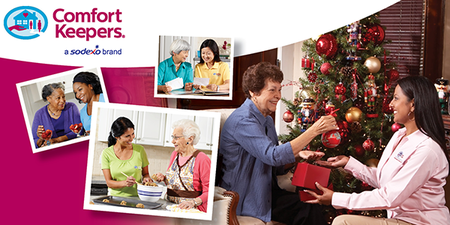 We employ caregivers and certified home health aides who are thoroughly trained, bonded and insured by us and work closely with our Registered Nurses to provide an appropriate care to the seniors and anyone who needs our services. 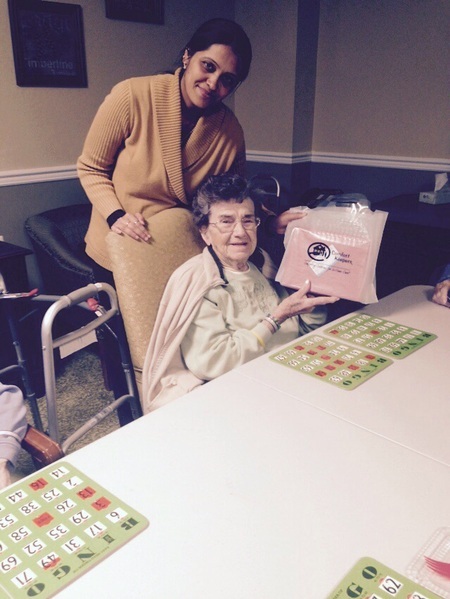 Our goal is to treat every senior with respect and integrity, and engage them into daily activities by building an interactive environment for them to participate in. We do provide free in-home consultation and offer very personalized plan of care for your loved ones ranging from hourly (min. 3 hours) to daily to 24-hour to live-in services. Our office staff is available 24 hours, 7 days a week to meet any needs and provide the best care for you or your loved ones. When we look outside our home to get our loved ones the best care possible, we seek Companies that are reliable, trust-worthy and compassionate. And why not? After all, our family comes first! That is exactly why I put my faith in Comfort Keepers, Montclair, NJ. 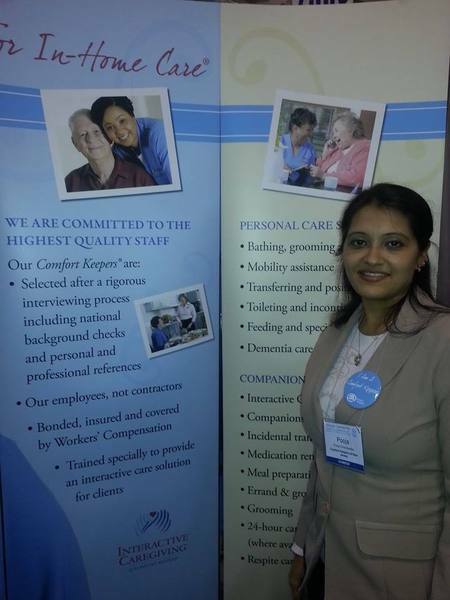 I personally know Pooja Chandawalla, the owner of Comfort Keepers at 45 Park Street, Montclair, NJ 07042. She is one individual who is true to herself and her clients, very hard-working and knows the importance of providing well-trained, effective and courteous staff to take care of your loved ones in order to maximize their functional independence and safety within their homes. By profession I am a Geriatric Occupational Therapist and know the value in promoting an enriched, independent living amongst the elderly population within the safety of their own homes, under the watchful guidance and loving care of skilled Caregivers. Comfort Keepers gives you that exact tool that can make this possible. Their service is prompt from the time they answer your phone call to their follow-ups with you, home visits and placing skilled staff at your doorstep. Am very pleased with this company and would recommend them to one and all. Very reliable and caring service provider.